Redline Pipe Tobacco is a 100% all-natural Native American high quality tobacco produced without any additives or preservatives. Redline Pipe Tobacco pouch is cured carefully and blended together allowing for an easy slow elegant burn with a rich full-bodied flavor and aroma that’s true to traditional pipe enthusiast everywhere. “Smooth by Nature” is the motto Redline Pipe Tobacco is known by because this distinctive American blend is grown and smoked the way tobacco should be. Redline Pipe Tobacco packs nicely into your favorite smoking pipe, stays lit easily offering an all-day smooth and mellow taste, with pleasant aromatic room notes. A solid value as a pipe smoker’s best friend. 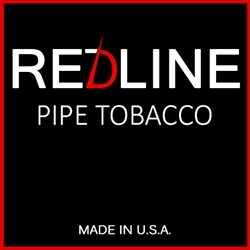 Redline Pipe Tobacco is distributed nationwide by Ohserase Manufacturing, LLC Akwesasne, NY located on the Akwesasne Mohawk Indian Reservation. Each pouch of Redline Pipe Tobacco are available at our online tobacco store in 3 unique styles to choose from. Full Flavor, Light, and Menthol.